Racquetball is a fantastic sport and one that gets you fit while having fun on the way. The racquetball racquet that you use to play with is one of the most important decisions you can make in the game. That’s why it’s important to choose the best racquetball racquet for your style of play. Selecting the best racquetball racquet from all the many on sale is something worth taking your time over to ensure you make the right choice. It can seem a little daunting, especially for the beginner, but the information in this guide will make it easier for to pick up the best racquet for you. We have researched the top racquets from the most well-known brands to highlight the cream of the crop to choose from. 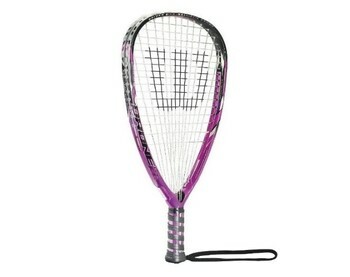 What to look for in the Best Racquetball Racquet? If you are already playing then this may be information you are aware of but if not, or for the complete beginner, it’s worth going over what to look for when buying a racquet. There are lots of racquets out there each with their own specific features to entice you. But it’s not always the biggest or most cutting-edge you may need. Racquetball is a very individual sport and this translates down into your racquet choice. The first thing you should do is think about what type of player you are as this will directly influence the sort of racquet you should buy. Are you a heavy hitter who relies on power or someone who uses technique more to win? The sort of tool you need will differ depending on this. Each player will have a different swing speed which affects the equipment that will suit you best. Broadly speaking, racquetball racquets fall into either the light, medium or heavy category in weight. Light racquets will be around 6 ounces or under, medium ones around 6.5 ounces and heavy ones around 7 ounces or over as a guide. Depending on your whether you have a fast or slow swing speed along with your experience level in the sport, you need to select the best weight for you. If you pick one that is not suited for you or where you are in the game then it will be a significant disadvantage out on court. For the beginner player or those with a slower swing speed then a heavier racquet is best. This is because you will need the racquet to generate power for you to put into your shots. Just be careful that you pick one that is still comfortable to hold and play with especially by the end of a game. If your arm gets tired quickly, go for a racquet that is a bit lighter but gives the power you need still. For more experienced players or those with a faster swing speed, you could go for the medium weight racquets as your technique will generate the power and you will want a racquet with more manoeuvrability. If you are a professional player, then the light racquets are best for you as your technique will be good enough to provide power and you will want a fast, responsive racquet instead. Every racquetball player will have a preferred style of play that they will naturally lean towards when out on court. Some will be power hitters who enjoy whacking the ball as hard as they can to score points. Others will rely more on strategy and precision to get one up on their opponent. You can of course mix the two and this will also affect which racquet you need. Depending on what style suits you best, you need to pick the most suitable racquet to play with. 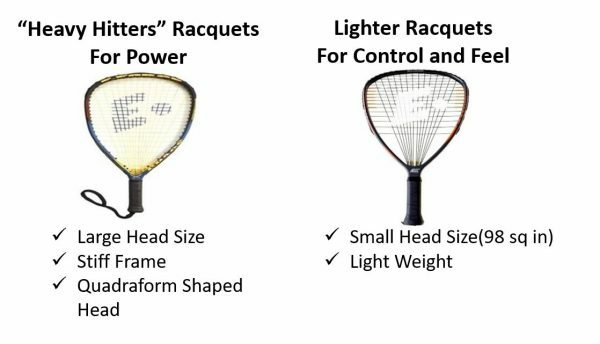 For heavier hitters, you will be after a heavier weight racquet to give power and a larger head size. Over 100 square inches is best as this gives you more surface to strike the ball with and produce some zip. You will also want the frame fairly stiff and a quadraform shaped head as this will also give your shots that explosive power you desire. If you rely more on control and feel, then you will want a lighter racquet with a smaller head size, probably around 98 square inches. This will enable you to have greater sensitivity and touch when playing. The lighter weight will also make it faster and more manoeuvrable in your hand. A tear-drop shaped head is ideal for this sort of player when choosing their racquet. Obviously, if you like to mix power and strategy then you will need to look at racquets that fall in the middle in terms of weight and head size. Doing this will get you a good all-round racquet that balances all aspects of the game for you. As with any sporting equipment, you need to feel good when using it. If you don’t, you won’t play to your full potential due to the psychological effects of using gear you’re not confident in. With this in mind, it’s really important to pick a racquet that has the looks that you love. The racquet you choose to play with should be balanced well and to how you like it as an individual. Some will have more weight towards the head while some will have it spread more evenly. Different manufacturers will distribute the weight in a variety of ways to make their racquets stand out and be suitable for various types of player. If the weight is towards the racquet head then it will feel heavier but give a bit more power. Conversely, a racquet that has the weight more towards the handle will feel lighter and more manoeuvrable in your hand. Obviously, the amount of money you have to spend along with the cost of the racquet will play a part in your decision. Generally, it’s wise to get the best you can for your money as the quality will be better. A lot will depend also on how much you play and what level you’re at too. If you only play twice a month at an amateur level then there is little point spending hundreds of dollars on one of the racquets aimed at professionals. With a 107 square inch head and weighing in at just over 7 ounces, the E-Force Chaos racquet packs a serious punch. These features help give it serious power and makes it one of the best racquetball racquets for the beginner or intermediate player. Previously known as the E-Force Gladiator, this racquet has been totally revamped for the current market. The shape of the head itself is quadraform which gives it plenty of surface area and a big sweetspot for striking the ball perfectly. This is a great bonus for new players who may not have the technique yet to catch the ball perfectly everytime. The monster string hole technology allows for the strings to be anchored on the outside of the frame giving you more punch and stringbed deflection. Whilst being a powerful racquet, it also retains a nice feeling of control due to the flexible nature of the frame. The zero richter tube technology within gives it superb vibration dampening properties and makes it very nice to play with. 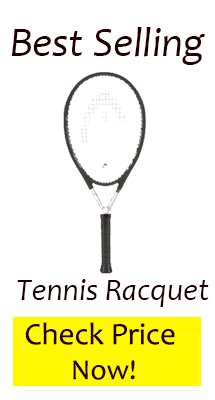 It is a very easy racquet to swing which makes it one that most players will love. At a low cost, it really is a great deal for the quality and technology this racquet has. This is more a racquet for new players or those looking to upgrade so if you count yourself among those categories pick this racquetball racquet up today! 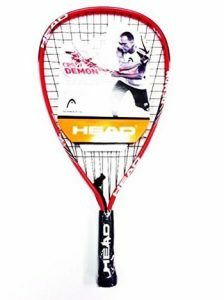 Containing their patented Intelligence technology, this racquet from HEAD is a fabulous product that is popular with many players worldwide. 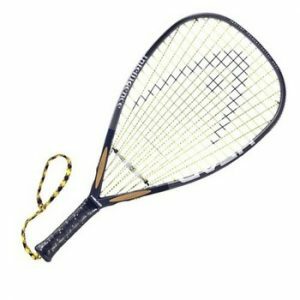 Aimed squarely at being the best racquetball racquet for intermediate players, it offers top notch playability and performance. The racquet itself is fairly light, weighing in at 5.8 ounces, so is good for those who like a lightweight racquet in their hand. With the standard 22-inch length, it feels good in your hand and is a breeze to play with. Although light weight, the racquet has significant power due to the Intellfibers technology contained within. When you strike the ball, the strings stiffen on impact to give more zip to your shots. Designed for players with a medium or fast swing, it really gives great manoeuvrability and response in play. The feel the racquet gives is ideally suited to players who like to rely on precision rather than purely power. 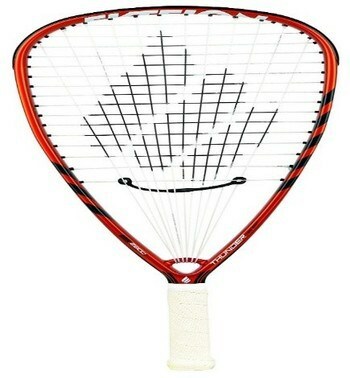 It has great grip also and feels very secure in your hand when out on court. The teardrop shaped, 103 square inch head gives a striking surface that is great for both power and control. At a medium cost, it is a great deal for the price when you consider all the features you get. 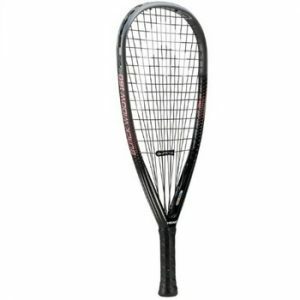 One of the things I love about this racquetball racquet is that it caters for the intermediate player who might have been playing for a while and is looking to upgrade their racquet. The Innegra material this is constructed from along with the carbo-polypro technology contained makes this racquet very lightweight. This is great for those who get a tired arm from a heavier racquet or prefer to play with a lighter one. The feel and response it gives in rallies is exceptional. Although lightweight, this product is still strong due to the CT2 technology incorporated within. It is definitely one of the most durable, light weight racquets on the market currently. It also gives fantastic power which you can feel it on serves and rallies. The material the racquet is made from also offers superior vibration dampening to help prevent injury and make it better to play with. Due to its speed and lightness, this racquet suits people with a fast swing ideally so you must bear that in mind when looking at it. 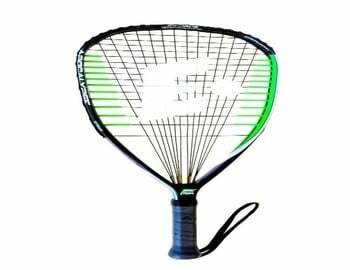 Overall, this is one of the best racquetball racquets with a good mix between power and touch making it suitable for a lot of players. The Heatseeker 160 is another great piece of equipment from E-Force, aimed at the intermediate to professional player. 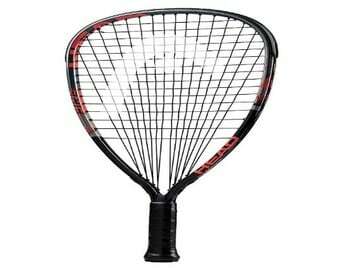 Packed with all the latest technology from the company, it is one of the best racquetball racquets on the market today. E-Force was made famous for the style and competitive edge their racquets give and the Heatseeker delivers in that respect. This racquet has all the usual innovations that E-Force is famous for but with even more added features packed into it. This all adds up to an excellent racquetball racquet that gives great power and control. The main way it gives power is by the extreme 22 inch longstringing and bypass stringing system. The extreme longstrings run all the way from the racquet head through the hollow handle to give the maximum length possible. The bypass stringing system ensures the main strings skip every second hole so the ball does not strike two at once. Both these features combine to give great punch to your shots and a lively feel. The Tri-Carbon Frame and Head are strong enough to withstand regular play yet light enough to give good swing speed and playability. The construction of this racquet also gives it great stability and reduces the vibrations going into your arm after playing a shot. At 5.5 ounces roughly, it is one of the lighter racquets out there and so easy to play with for long periods. As the official racquet of US racquetball and the maker of high quality tennis racquets, Wilson certainly know a thing or two about building a top class racquet. The nice thing about them as a company though is that they have something for everyone from professional to beginner. The Striker racquet is aimed squarely at the beginner, coming in at a low price and set up in a way that will help them most. The V-Matrix Frame of this racquet allows for extra string bed movement and more power to come from the racquet when striking the ball. The frame is made from T6 heat treated aluminium alloy which makes it strong and allows it to withstand the rigours of heavy play. In addition, the V-Matrix cross section gives more stiffness and strength to your game. This really is a great choice for the new player or indeed anyone who is after a playable, inexpensive racquet that will give good amounts of power. The Striker is one of the cheapest to buy so perfect for the casual player who wants to get into the sport without shelling out lots of money. It must be noted that this is not as high quality as more expensive racquets but then at the price that is to be expected. Also, the grip is not the best and some may not find it tacky enough to stay in hand when playing. HEAD has got a few racquets in our list and with good reason – they make so many brilliant products. 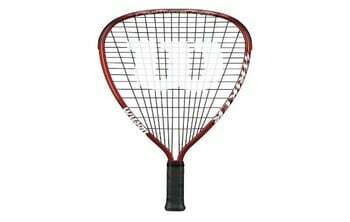 The MX Fire is no exception and is one of the best racquetball racquets for beginners especially. At a low price the price is perfect for those just starting out and wanting a racquet that will not be too costly for them. Another aspect that makes it ideal for the new player is the head size and weight. At 107 square inches, the head is large enough to give you lots of power. The weight of 6.7 ounces also helps in generating the force you need to hit competitive shots. Made from metalix, the racquet has a strong, stiff frame that is great to play with. The H-Beam shape of the frame gives increased playability along with superb vibration dampening abilities. Unfortunately, the strings can break quite easily on this racquet which is annoying. After all, you want to be out on court and not spending time putting new strings on. The grip, while being adequate, also feels a bit cheap and is not as good as other racquets we have looked at. Ektelon are one of the most popular brands within racquetball and it’s no wonder when they produce the best racquetball racquets like this. The Thunder ESP is a superb racquet which comes in a couple of different weights, depending on your needs. Whichever one you go for the teardrop head shape is the same and gives a big sweetspot along with great feel. The racquet is made from graphite which makes it easy to swing and play with. The Extreme String Pattern Ektelon have put into this product gives your shots a good amount of power while still feeling well balanced. A particularly nice feature of this racquet is the grip – it is very secure and will not slip out of your hands during play. This really is a superb racquet at an attractive price. If you are a beginner or intermediate player, it will give your game a good mix of power and precision. For the price, there are not many better racquets out there. The only extra thing to note about this racquet is that it is not aimed at the professional player. Therefore, if this is you, you may find this racquet does not quite meet your needs. As such, you would be better looking at other racquets that do. Now this is one serious piece of equipment for all you professional or advanced players out there! The name itself is brilliant and conjures up an image of what you can expect from this racquet. As usual E-Force have done a great job with the styling as it looks amazing. One of the major points about this racquet is the power booster technology contained within it. This gives you greater stringbed stability and accuracy while making your shots more powerful. It is a very comfortable racquet to use as it is fairly light whilst still packing a punch. Designed to give you that edge over your opponent out on court, the mix of power and control is exceptional. The frame is made from graphite which makes it durable yet light and comfortable to use. Containing a wide string pattern and extreme 22 inch longstringing, it will give you all the power you need to put into your shots while remaining responsive. The quadraform shaped head allows for a fast swing speed and connection with the ball. It really is a racquet for the more advanced player also and amateurs may find it too hot to handle! This racquet from Wilson is brand new for 2017 and ranks as one of their best. A massive name in sport, Wilson have a deserved reputation for delivering the most innovative and stylish products. The Drone X certainly lives up to that and is a serious piece of gear to use. One of the innovations Wilson have incorporated into this racquet is Basalt fibers in the frame. These fibers are lightweight yet very stable and strong which means the racquet itself feels great to play with. It also offers excellent sound and vibration dampening to make it safer to play with and help prevent injury. Although light and manoeuvrable, this still chucks out plenty of power. You can get a great amount into your shots still which is essential. 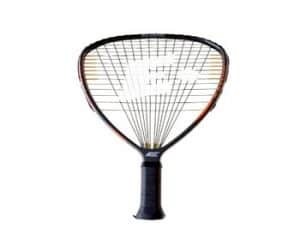 I would say this is an ideal racquet for those out there who use technique and power when playing as it balances the two really well. Very comfortable to play with, it fits and stays in your hand really well. The main drawback with this racquet is the price as it is one of the more expensive to buy currently. This therefore may make it unsuitable for the casual player or those on a budget. This racquet is one of the best out there for new players to the sport. Not only in terms of the racquets qualities but also price. Under $40, it is a real bargain and makes it ideal if on a budget or not wanting to spend a lot. As always with HEAD, this racquet is packed full of features even if it’s not a professional racquet. Coming in at around 7.5 ounces, this is a heavy racquet so a good choice for the beginner or a player with slow swing speed. The extra weight of the racquet will allow you to get great power into your shots still and be competitive. A very strong, durable product the frame will stand up to regular use and keep its shape. 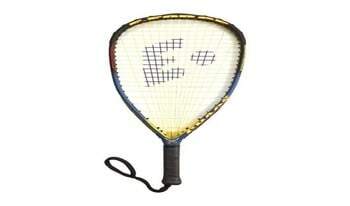 It also has a stiff feel due to the frame and strings which also aids in give you extra power. HEAD have built in a powerzone string pattern and crystal power system to give your shots extra zip and punch. Again, this is really useful if you’re new to racquetball and haven’t refined your technique yet to produce the power yourself. Although a great beginners racquet there are a couple of things to mention here. Firstly, the heavier weight could make it uncomfortable for some players after a period on court. Also, the stiff frame and strings aren’t the best at reducing the vibrations going into your arm after playing a shot. Racquetball is a fantastic sport and one that is loved by millions worldwide. Although a simple game in terms of rules, it offers a fun way to workout. It is also a great stress reliever – after hitting the ball against the wall for a while, all your worries seem to disappear! To get the ultimate enjoyment from the sport, choosing the right racquet is absolutely key. Have a good think about what type of player you are and what you need in a racquet as this is the first step. Once you have done that, have a look through our guide and see which one suits you most. They’re all superb racquets so you are bound to pick one you love, whether a newcomer to the sport or seasoned pro.